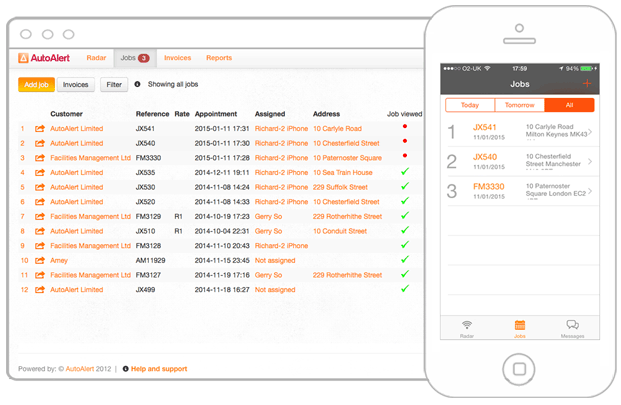 With Okappy, you can create and receive jobs, allocate them to employees and subcontractors and view the jobs' status in real time. To get started, simply click the Add job button on the top left corner of your Okappy Dashboard or Monitor applications and create a job. If you've connected to your customers, they can also add their own jobs and allocate them to you.